Azi Ahmed, an entrepreneur and former Tory parliamentary candidate, published a book in 2015 in which she claimed to have almost passed selection training for the SAS – Britain’s top special forces unit. Military sources accuse her of lying. Ahmed, who campaigned to become MP for Rochdale in 2015 and markets herself as an entrepreneur and motivational speaker, wrote a book about her SAS experiences in 2015. Titled “Worlds Apart: A Muslim Girl with the SAS,” the book tells her story of being one of just a handful of women to have taken part in the notoriously brutal selection process for the elite military unit in the early 2000s. Ahmed claims her presence at selection was the brainchild of an SAS colonel who wanted women to take part in the course to join 21 SAS, one of the reservist regiments of the famous special forces unit. Ahmed says the trial scheme was abandoned just before she passed, causing her to miss out on her own sandy-colored beret. “We were told two weeks before the training ended to just hand our kit in,” she said in an interview with ITV’s Loose Women program in 2015. “I’m sure they had their reasons for it. We don’t know what those reasons were,” she added. 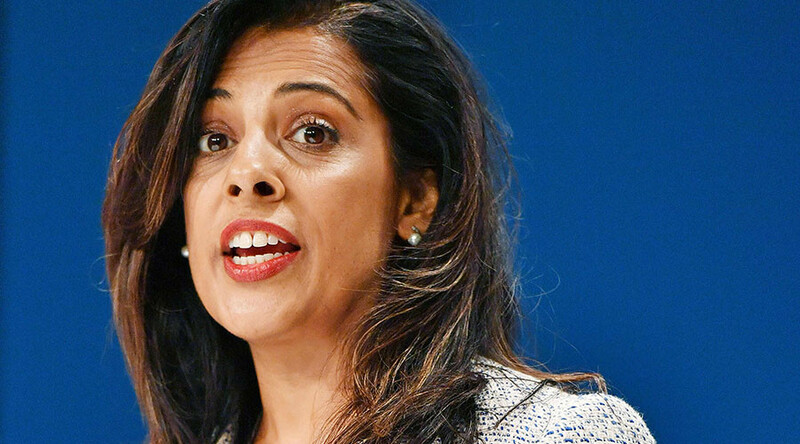 Such is her proximity to the highest echelons of the Conservative Party that she even gave a warm-up speech for Defence Secretary Michael Fallon at the 2016 Conservative Party Conference. However, her claims have since come to the attention of Armed Forces groups online. Some former servicemen have now branded her a ‘Walter Mitty’ – the forces’ term for a military fantasist. Former paratrooper Alfie Usher of the online military group Fill Your Boots – sometimes referred to as the military’s unofficial trade union – told RT he had heard from special forces insiders that a number of her claims were in fact false. At most, Ahmed was put through a pre-training ‘beat-up’ course, which was a form of “selection-lite,” sources told Usher. 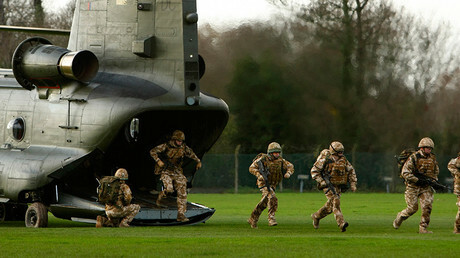 The course is a build-up phase of physical training involving navigating routes at speed while carrying weight, which takes place before the actual selection process. According to military sources, Ahmed failed the course despite taking part without carrying any weight, and without having the extra challenge of a time limit. 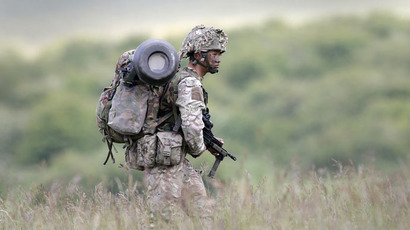 “The long and short of it was they did half distance marches carrying 15lb, we would come back off a 30-40k tab and they would be bashered up [in lightweight shelters] eating scoff [food], whinging about how hard it was,” one source said. “This all took [place] at 21 [SAS] back in 02 or 03 if I remember. The then CO [commanding officer] thought it would be a great idea to put some girls through Selection-lite,” another 21 SAS source told Usher. Usher’s source insists the women then did a heavily modified version of Continuation – the next phase of selection in which core military skills are learned – but that it involved no live firing, no battle camp, and none of the harsh resistance to interrogation (RTI) training. Similar accounts have appeared on the Walter Mitty Hunting Club (WMHC) website, which exposes military ‘bloaters,’ or fakers. “Yes she was attached. Was part of an experiment by then CO Holly. (no time limit, lighter weight, no Test Week, no live fire, etc etc the list goes on),” WMHC quoted a source as saying. “This girl, plus one other, have used the experience to be self-serving and economical with the truth. I was a DS [directing staff/instructor] at the time,” the source said. He also said her claims had implications for the current debate over women taking up combat roles. “The lie of her being the first woman to complete the course suits the PC [politically correct] brigade’s narrative more than her being a complete fraud,” he said. A Ministry of Defense (MoD) spokeswoman told RT the government does not comment on Special Forces matters as a matter of policy. RT has approached both Azi Ahmed and the Conservative Party for comment. Since RT reported concerns by members of the Armed Forces community regarding Ahmed’s claims, the former parliamentary candidate told the Telegraph that she suspected a Kremlin plot against her. This is despite Ahmed not responding to requests for comment by RT at the time of publication. It is also of note that complaints about Azi Ahmed pre-date RT’s publication of the article by over a year in some cases - far in advance of her claims of a Russian ‘plot’ against her.